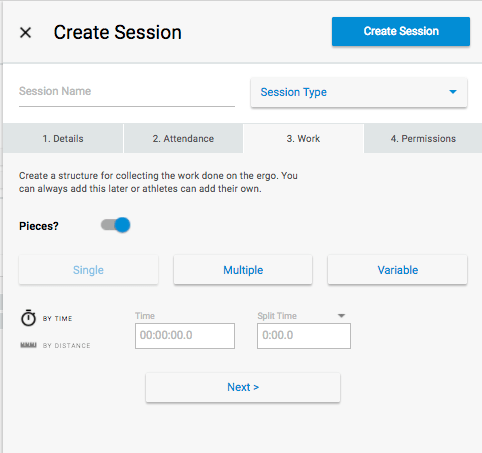 To create a session you need to drag and drop the session onto the calendar. Once you have dragged a session in just click on the session in the calendar. 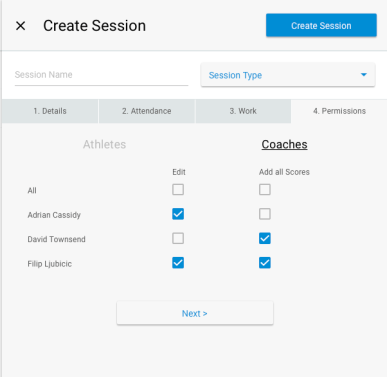 Each session can have a work structure that allows you to collect data within the session. This data is shown on the results page of the session. 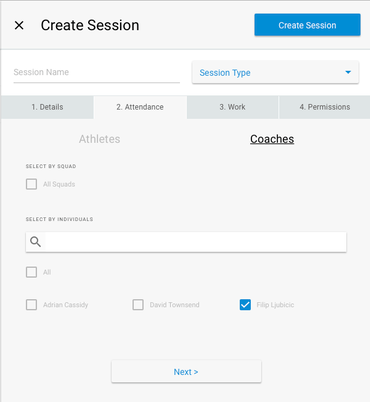 Keeping the toggle off means that athletes and coaches would be unable to add data to a the session. When the toggle is switched on you’ll be offered a selection of piece types depending on the session. When the toggle is selected on, you will instantly see the option build a single piece. 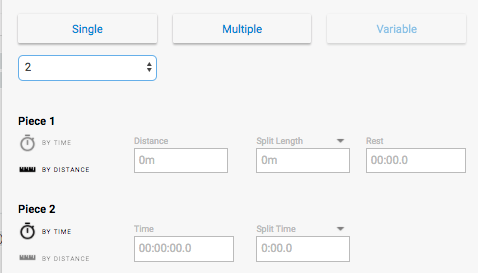 Multiple Pieces allows you to repeat the same piece a number of times making a session like 3 x 2000m or 3 x 10mins really easy to make. You can also set the rest time between the pieces so everyone knows the time between. Variable Pieces allows you to combine different piece lengths in the same session. For example you may be doing 2000m, 1000m & 500m in the same session or a mix of distance and time. The variable piece makes it easy to do by selecting the number of pieces and then adding the details to each individual piece. 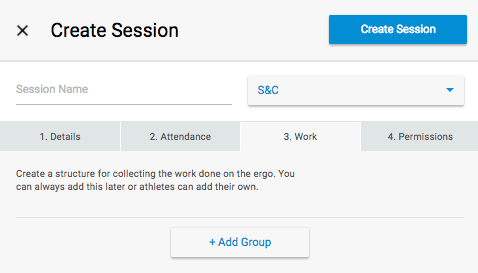 The structure of S&C sessions are different to the other sessions as they contain different groups of people and exercises within the session. Pressing add group creates an area for you to add the exercises and athletes that you want to perform the exercises. 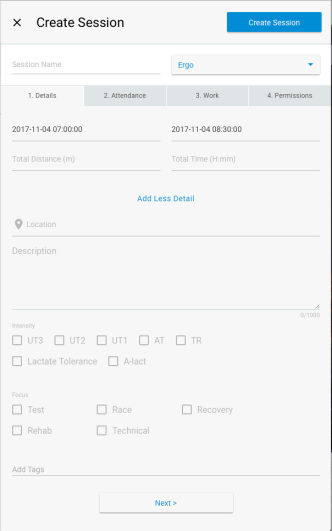 Here you can enter the name of the group and select the athletes from a dropdown. 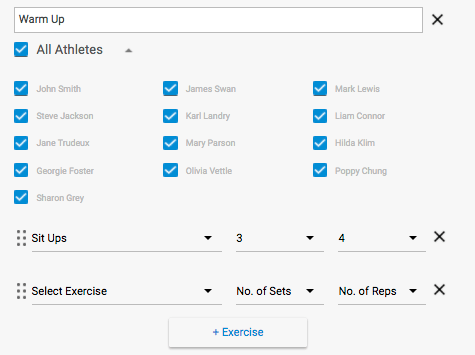 Once you have selected the athletes you can start adding the exercises you’d like this group to complete. 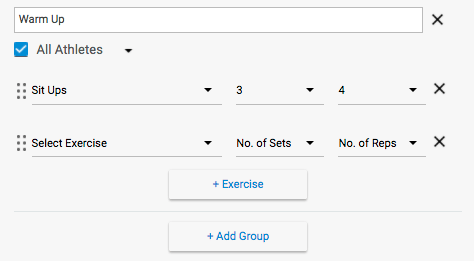 For each exercise you can add the number of sets and number of reps. You do have the ability to set custom reps for each set by selecting custom in the dropdown. Once you are happy you can add more exercises or create new groups. 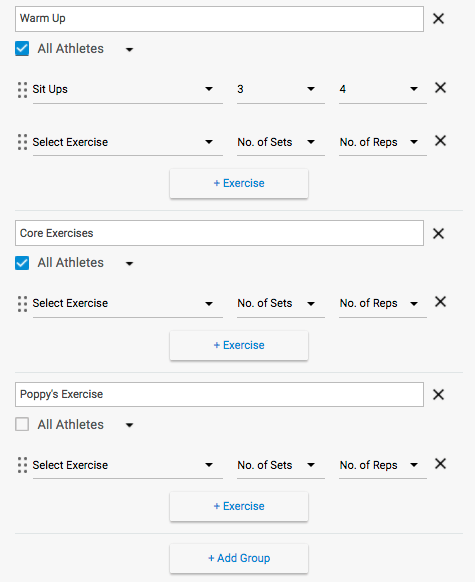 You can use the groups for different focuses of exercises like warm up and core exercises or to create individualised weights training for a specific athlete. Athletes will only see the exercises which they are given. 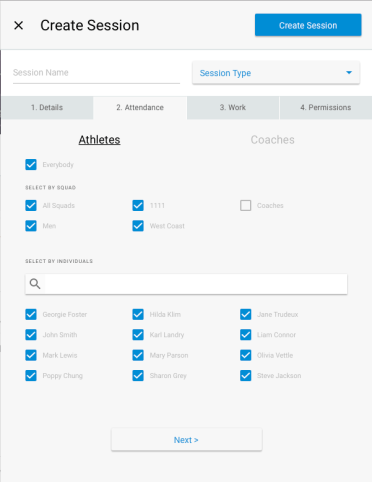 There are two permissions that you can give athletes and coaches on the session. 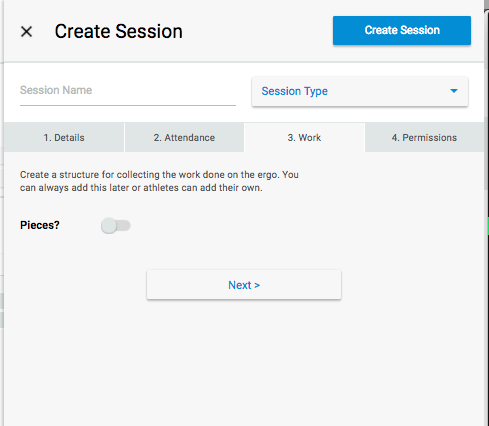 Edit – ability for the user to edit or delete the session.